Home / Simply Social / Little India Foundation. India’s non-profit sector (NGO sector) has a new star. Delhi-based Little India Foundation, having carved a niche with its commitment has been working to improve the skills, education, health, artistic talent, and environment of underprivileged sections.The Foundation also runs notable campaigns to stop atrocities against women, girls and weaker sections as exemplified by the ‘Stop Acid Attack’ campaign. Little India Foundation has been founded by Mr. Saleem Khan, a young philanthropic who advocates prolific CSR action by companies as a way of giving back to the society. 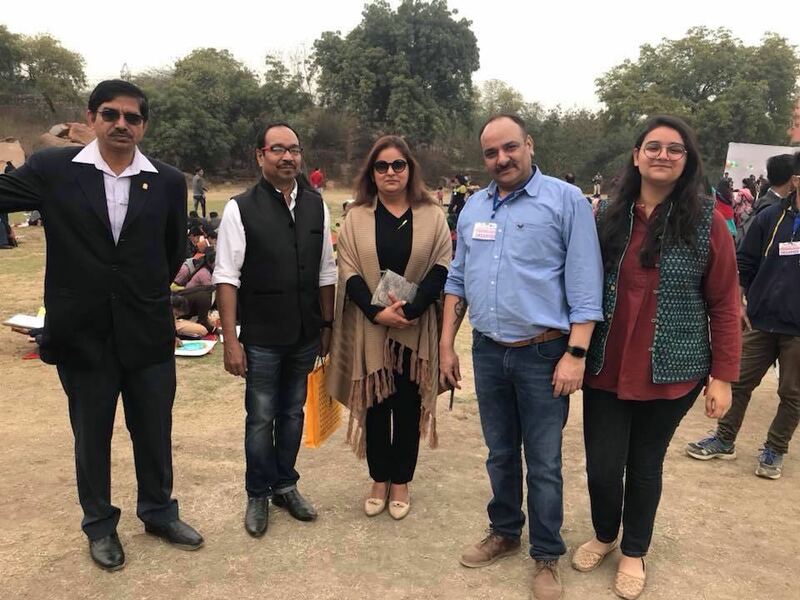 The Managing Director of the non-profit organization is Ms. Suman Arya, an artist of repute with many art exhibitions to her credit and hails from a family of Army officers. Suman believes that promoting youth, girl child and the underprivileged sections are the sure pathways to usher in a bright future for the country. The motto of Little India Foundation is ‘Do at least One Good Act a Day, which the MD explains as not about donating money but also encompass deeds that share and express love, care and happiness to the world. 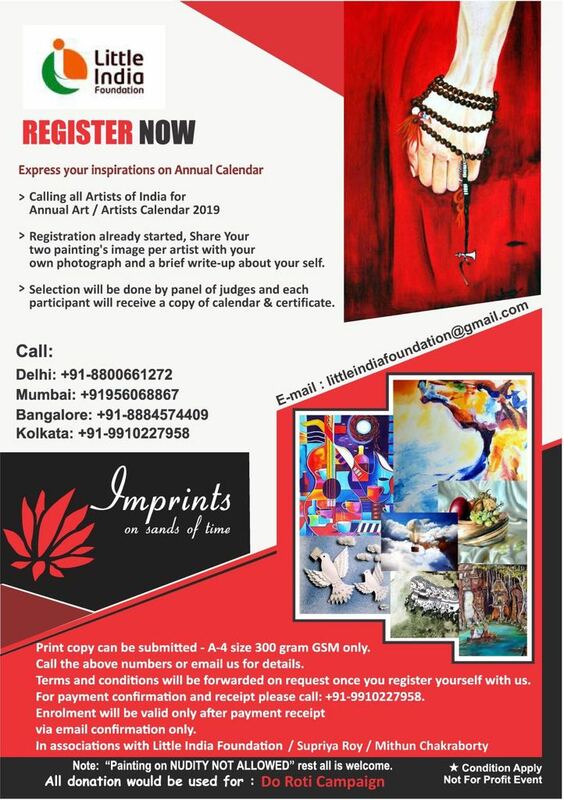 Calendar Hunt for 2019 : Hunt for Art work across India has begin. 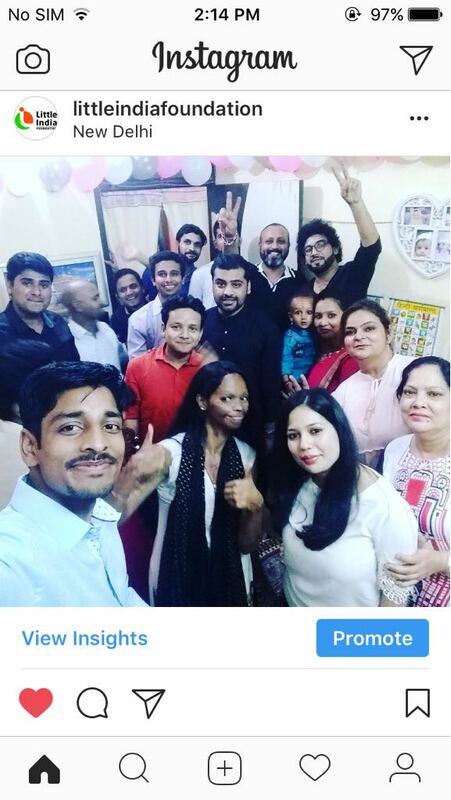 Now they have got suport from various country like Dubai , Canada , Singapore etc most of the Indian artist who have moved due to career or family needs have come forward to suport the Annual Art Calendar Hunt. 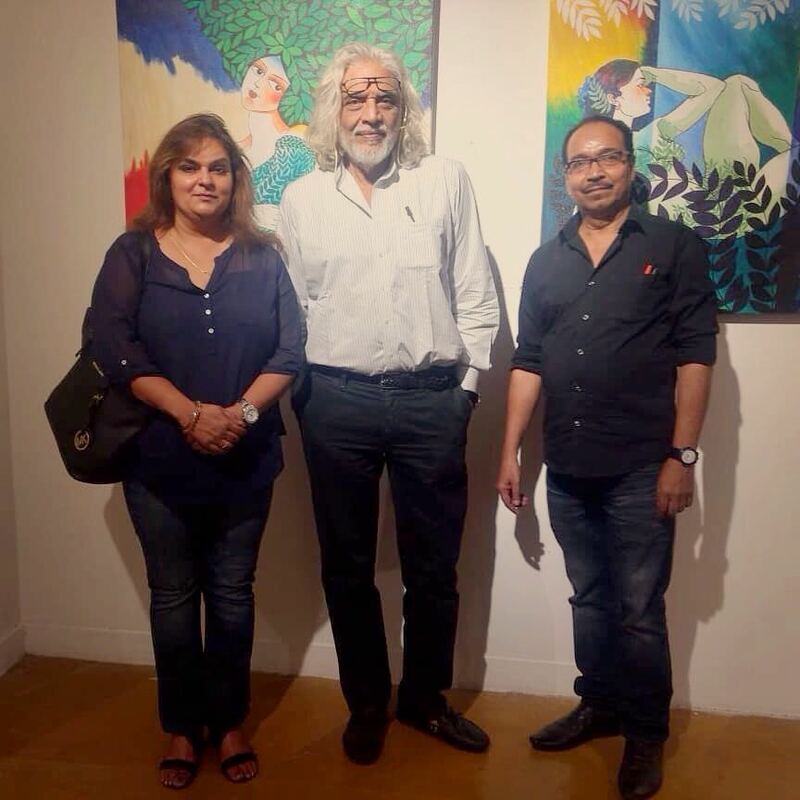 Dubai is managed by leading Artist Ms. Sapana Jain helping Foundation to coordinate all the Indian Artist Art work to enrolled for hunt 2019. If you are an art you too can contact Little India Foundation on FaceBook or littleindiafoundation@gmail.com do submit your art work and suport the social cause attached to it. They have come up with Free Art classes for underprivileged kids in heart of South Delhi. Rest whoever wish to learn art under trainers like well known face Mr.Uday Shankar and Anshu Gautam in Pamposh Enclave twice a week. In supporting destitute citizens in urban slums and overly polluted areas such areas near high traffic areas and traffic lights, Little India Foundation distributes free pollution masks to the needy. Other initiatives include offering food materials to the poor, providing clothes and need-based assistance time to time. Zee India Conclave 2018: Recognising the various initiatives by the foundation, MD Suman Arya was invited to represent the foundation at the ZEE INDIA CONCLAVE organized by Media group ZEE TV for honoring women achievers in sports. School in Mewat, Haryana: Mewat is a backward region of Haryana with a low illiteracy rate. The foundation is now supporting the literacy drive in the area and extended support for starting a school. The stone laying ceremony of the school was conducted recently. Close to about 60 underprivileged kids are given basic education learning free of cost under LIF supervision. Saleem has a clear vision for settling up the school for girl child who are not allowed to set out of house due to various challenges excuse family give in Mewat Haryana today. Today they have 5 year old kid to 40 year female coming for basic learnings in school. Art Exhibition in Delhi/Chandigarh/Jaipur/Mumbai Art Gallery. Little India Foundation organised an exhibition in 2017 at Govt Art Galleries across India for promoting art and culture. The event had the participation 36+ Artists in the exhibition which had paintings, art works, sculptures, installations etc on display. Arts Felicitation at Kurukshetra University. The foundation promoted the art works of the students of Faculty of Arts at Kurukshetra University in Haryana. It felicitated chairman Ram Niranjan for his contribution to art sector and the leadership in imparting Art education to the young generation. While the Chairperson Mr. RamViranjan supporting the cause with Art Calendar Hunt. Promotion of Women Artists: The foundation has extended support to women artists thanks to collaboration with Worldwide Institute of Grooming & Pageant. Each of the women artists participated in the Artizen Art Gallery event in Delhi was presented with gift vouchers of Rs 5000. Supported by leading actor / model Neeleshwari and Saleem Khan Worldwide Institute of Pegents WIP. Campaign for Acid Attack Survivors: One high point of Little India Foundation is a significant campaign “Stop Acid Attacks” backed by acid attack survivor Laxmi Agarwal. The initiative spreads awareness about the menace of acid attacks and educates survivors and well-wishers in the society on their rehabilitation and progress. Laxmi , 32, survived a brutal acid attack in 2005 when she was just 15. She is also a TV host and has become a great inspiration for victims as she speaks up for the rights and contributes to the public cause of enforcing curbs on acid sales. Next Book Review: Kashmir 90 By Vineet Mishra.